Inland World Logistics Pvt. 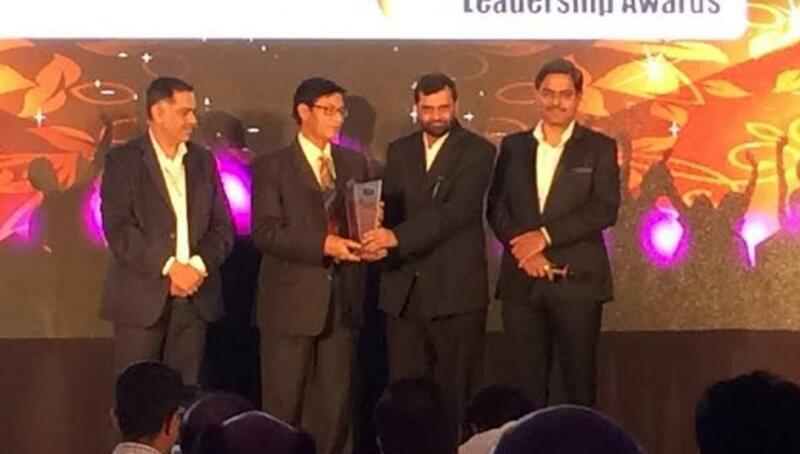 Ltd., one of the largest logistics company in India, won the most prestigious award for the “CSR initiative of the year” at the ‘9th Express, Logistics & Supply Chain Leadership Awards’ 2015. The Award was a part of the 9th Express, Logistics & Supply Chain Conclave. The gala evening of awards witnessed the presence of more than 600 industry leaders & practitioners from the SCM (Supply Chain Management) community. This year in its ninth edition the awards were presented by Future Supply Chain Solutions Limited. This is one of the most awaited industry recognition which everyone wants to lay hands on and is conceived & managed by Kamikaze B2B Media. Every nomination which we were received has been researched and thoroughly evaluated by one of the most trusted research partner ‘worXogo’. Inland has always been a company with a conscience, going beyond the label to create a social impact. The biggest reason for Inland’s CSR success is the way almost all the major sustainable initiatives have been wedded to the company's core business, either providing an input source for a business or backward integration. “Over the years we have been involved in various social development activities. We are honoured to receive such a prestigious award. These awards further strengthen our commitment to continuous engagement with the communities towards supporting their development as we recognize the value of building good relationships with local communities for a sustainable growth,” said Mr. L.N Somani, Chairman, IWLPL (Inland World Logistics Pvt. Ltd.).